When you connect your private network to a public network like the Internet and then stretch it between two computers, connected to each other. The two machines will then act as though they are connected on a private network and you would be able to share media and data between them , with all the benefits of a private network. You benefit through such a network by gaining the functionality and security of a private network, you are also at an advantage as both the system use Private Network traffic management policies. Virtual private networks ,now a days are being used by almost every advance user to access the Internet. This in turn is a personal choice of the user, but it is highly recommended that you use a VPN when dealing with critical personal information like your address , bank account details, card details etc. As many of you may already know, countries such as US and UK have been accused of tracking and storing user data and monitoring their traffic and internet access in order to determine and classify people into various categories that are convenient to the countries according to their criteria. The recent whistleblower of the CIA, Edward Snowden released various facts, and proofs and other documents that clearly showed that the American Intelligence agency, CIA was keeping track of the online activities of almost every US citizen as well as citizens of major growing economies of the world. This in turn has put a lot of users on high alert. This is one of the sure shot reasons out there that makes most of the users switch to a VPN network. Another reason can be to maintain anonymity, when connected to the internet via a VPN, you can easily set up a proxy server and mask your IP address and location from anybody snooping around your network. You can also bypass geo restrictions and other censorships through a VPN. This means that services like HULU , NETFLIX (usa) etc that are accessible only in particular countries , can be viewed by you by simply changing your location. Whatever the reason may be, you can select the best VPN service that suits you from the list below according to your requirements. Note: Although the VPN services below are free to use, most of them have one or two catches, that prevent you from using the full potential of your network. Some will have their speed restricted, others will have download limits. There are also services that have pop up ads built into them, which can get really annoying overtime. You can get rid of any restriction on your desired VPN by simply paying a nominal monthly charge to your VPN provider. This will ensure that you are able to use your network to its full extent. 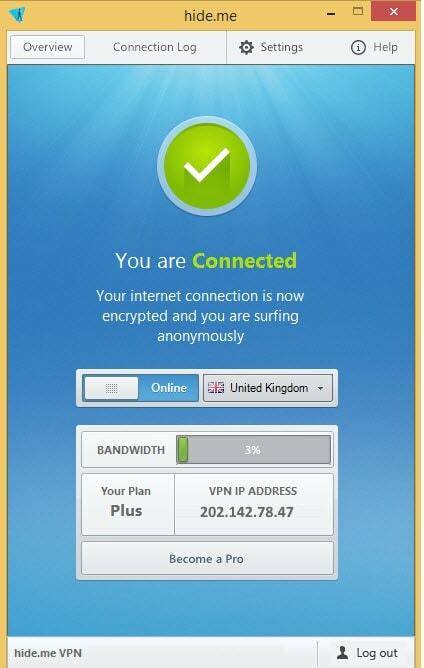 It is one of the best free VPN softwares available for free out there in the market today. CyberGhost is top of its class when it comes to free VPN services , it is full of features and can compete with most of the paid services in terms of features and performance. CyberGhost. One of the drawbacks of most free VPN services is that the service provider in turn keeps track of your activity which defeats the whole purpose of having a VPN if you wanted to evade tracking services and keep your identity anonymous. 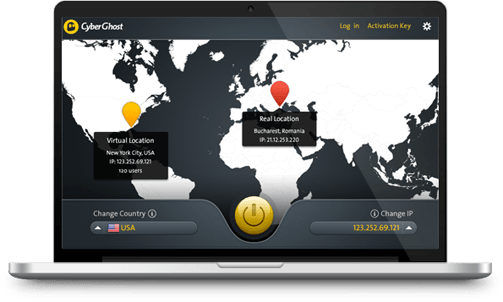 CyberGhost is one of the few free VPN softwares out there that does not keep track of your activity or traffic making it a great choice. The service is available for free but comes with Ads, that make the experience a little annoying. Although if you have an ad filter / blocker installed you should be golden as it will block CyberGhost Ads as well. Another restriction in CyberGhost is the download speed. The speed through the free account is workable and not a big hinderance , but the paid version of CyberGhost guarantees to deliver five time faster speeds than normal which make it a very exciting offer. All in all, CyberGhost is one of the best Free or Paid VPN services, and you shouldn’t go wrong using any version of the software, paid or free, while setting up your VPN network. It is the most recommended free VPN software out in the market now a days. Every free VPN service comes with one or two catches , that restrict your workflow and help the service advertise its paid version. The VPN software in turn is designed this way so as to promote the software’s paid version, and force the user to buy the paid version in order to avail all the benefits and features. Betternet is one of the few services out there that is actually free and no paid version of the service exists anywhere online. The service is simply free, without any restrictions, catches, speed limits or Ads. You can use the service with blazing fast speeds, for as long as you want , without any Ads popping up to annoy you. You can choose any server from all over the world and protect your identity and location for absolutely free via Betternet. Betternet does not even require you to create an account or register on its servers. You can simply download the software, install it and simply access the internet via Betternet VPN. 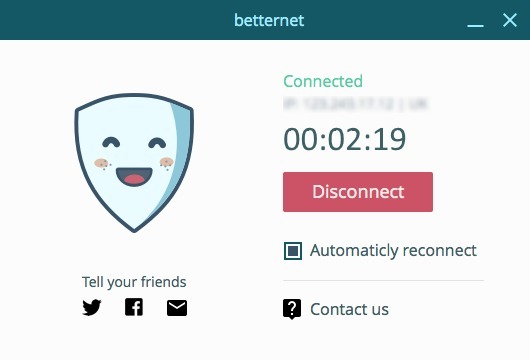 All these exceptional features make Betternet the best free VPN service out there with no additional costs and catches to ensure you have a great browsing experience. Betternet is available for all platforms including the major ones like Windows , Mac, Android and iOS. 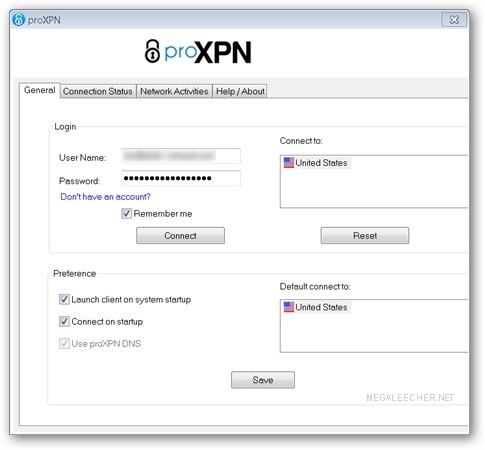 ProXPN VPN is another software that is famous for its performance when it comes to providing its users with a secure connection to the internet. ProXPN VPN is a simple software that provides you with a free VPN connection, protecting you from hacker attacks, malicious files and other tracking services online. Once installed and connected , the software will direct all the traffic through the VPN, be it your browser or any other application traffic. This makes the proXPN VPN highly desirable if you are looking for all round protection from various threats. The free version of the software will allow you to access the network only through one of its servers, located in the USA, restricting you from changing your location while accessing the internet. Moreover the service has a speed limit, that limits the speed of your connection to 300kbps , this offers decent connection speed but it is not for you if you are used to using blazing fast speeds. You can opt for a premium membership with proXPN VPN, this will give you the ability to chose any location to bypass geo-restrictions and does not restrict your speed resulting in blazing fast speeds. The software is available on Android, iOS, Windows and Mac and can be easily instaled. 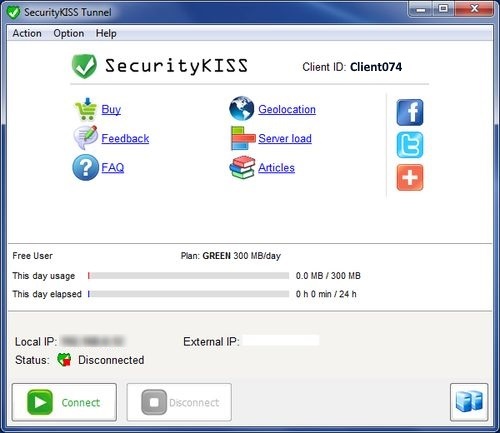 SecurityKiss is another VPN service that helps you access the Internet securely. You should opt for SecurityKiss VPN only if you are okay with using a limited amount of data via the VPN everyday. The service does not have a speed limit, and you can browse at your normal browsing speed till you exhaust your daily MB allocated to your IP. SecurityKiss VPN allows you to connect to the VPN without creating any type of account or without any kind of registration , which is a huge plus. You can download the free version, which is also called the green version and simply install it on your PC. Once installed all you have to do is run the software and click on the option that says Connect. The software will soon establish a secure VPN connection and you can then browse the Internet securely. The only drawback is that the free version only gives you 300mb/day for general usage. Once you have exhausted your daily data limit, you will need to wait till next day in order to get the VPN working again. If you can balance the pros and cons of the free version of SecurityKiss VPN, then it is highly recommended for you. The software is available for all operating systems like Windows ,Linux , Mac, Android and iOS. SpotFlux VPN is one of the oldest and the most reliable VPN services out there. It is used by almost every user out there to prevent their PC from malicious attacks and avoid tracking . You can also use it to access geo restricted websites absolutely for free. 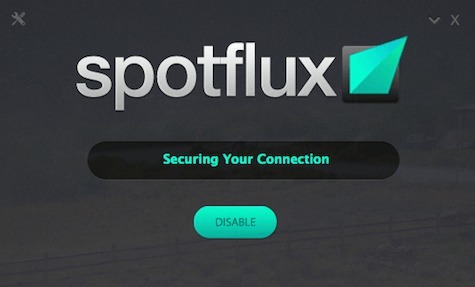 SpotFlux VPN offers most demanded features all for free to its users. 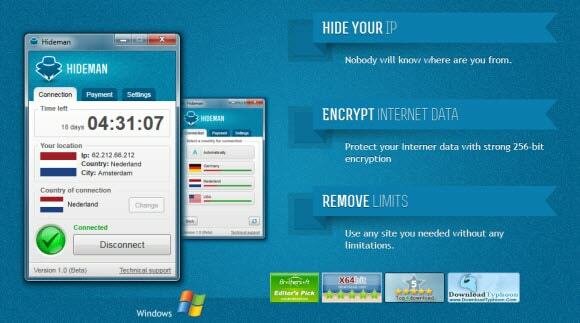 This makes it one of the most downloaded free VPN softwares out there. SpotFlux does not restrict a user’s bandwidth, meaning you can get blazing fast speeds while using SpotFlux. Secondly there is no data limit , so you can use the service as much as you like. This makes it the ideal software to use, if you want to remain anonymous, with your original Internet speed and without any data restrictions. This makes it a highly sought after software. once installed, SpotFlux VPN will save you ample amount of time by automatically establishing a secure connection whenever the Pc boots up. This is a great feature as with many other softwares you have to manually start them up and configure a VPN connection. This makes SpotFlux VPN highly user friendly, and hassle free. The premium account includes the ability to change your location, ad blocking, compression of data to save bandwidth etc. HideMan VPN is another great VPN service that offers both premium and free accounts. If you have been on the look out for a VPN service that gives you all the features of a premium account, for free, HideMan VPN should be the answer to all your prayers. There is no bandwidth restriction, there is no limit on downloading of data and you can choose your location from the available free servers. This makes HideMan VPN highly desirable when it comes to free VPN softwares. Although there is a catch, there is a weekly time limit on the usage of this service. You can use HideMan VPN for free for seven hours in one week. The software offers it free services only for roughly seven hours in seven days, which means you can use it for only one hour per day if you want the limit to last the whole week. In the case you use all of your weekly time limit before the week has ended, you would have to wait for the remaining days of the week to get over, before the software is able to reset the time limit and you can use the service again. You can always pay extra money to the HideMan VPN service to get more hours for that particular week, in the case you exhaust your limit beforehand. The software is available for all devices running Windows or iOS or Mac or android making it very versatile. Android users can earn free time too, by completing available offers that include watching sponsored ads and downloading sponsored games / apps when needed. When the cuteness of a grizzly bear meets the high performance of a VPN software, it usually creates TunnelBear VPN. This VPN is very user friendly and adorable for people that are interested in that kind of thing. You have a very good looking interface along with amazing VPN network when you download TunnelBear. TunnelBear will offer you the best of anonymity and keep you safe from spying eyes and malicious attacks. The restriction that the TunnelBear comes with is its data limit. The software offers all its free users a data limit of 500Mb for one whole month. Now 500mb may seem a little less to some of you, if that is the case you can simply tweet about the software and earn 1 GB every month. 1.5 GB should be enough if you plan on using your VPN network for selected tasks and purposes. You can always get a premium account for more data and tons of other features. The software is available for Android, iOS, mac, Windows and google chrome (extension). Whenever advanced users think about free VPN services, most of them will mention Hotspot shield as one of the best services out there, and that is completely true. Rarely you will find free softwares that do all the job without any actual catch. Hotspot shield VPN is one of such softwares. You can simply download and install Hotspot shield VPN without any worries as it is trusted by more than two million users world wide. The software offers a simple user interface that makes it easy to manage and use everyday. The only drawback Hotspot shield has is that every now and then a sponsored ad will pop up, ruining your workflow. If you are okay with this then Hotspot shield is the software for you. If not then you can install any free ad blocking software to block all the ads and have and uninterrupted experience. The software is available on all major platforms including Mac, iOS, Windows and android , making the VPN service highly versatile. The premium membership comes bundled with amazing features like extra secure connections and servers, ads removed etc. This is one of the most underrated services that I personally like. It is sweet and simple and does its job. There are no fancy features that can cause performance or connectivity issues , making it very desirable. The software offers both paid and free memberships where each one has its own advantages. The free service of HideMe VPN is much better compared to its competitors because of a number of reasons. The free service offers you only three locations to choose from, but that should be enough if you are looking to hide your identity and establish secure connections or bypass geo restrictions. The service offers limited speed in its free version, but the limited speed that HideMe VPN offers in its free membership is way better than its competitors, which is rarely found in a VPN software. The free version of HideMe VPN is completely ad free which is also a huge plus when it comes to VPN services. The best part about this software is that it does not keep logs of your activity, which means that the encrypted data , sent and received through the service can not even be read by the software before the receiver opens it. This is a huge security feature that only a few VPN services out there offer for free ,making HideMe VPN one of the best free VPN services out there. The software is very versatile and is compatible with almost all the platforms including Windows, Android, iOS and mac. Windows phone support will be arriving soon if the developer’s claims are to be believed. All in all free VPN services do not get better than the free version of HideMe VPN. German developers are known for their reliable softwares. Some examples include the Ableton music production software, developed by the germans, that is now a days used by every other music producer around the world. 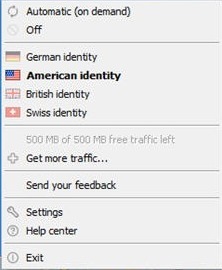 OkayFreedom is another VPN service with german make. The software site proudly boasts the fact that it was developed in Germany and is for users that are inclined towards german make softwares. it offers users both, a free version and a paid version. The free version is bundled with sponsored ads, designed to pop up every now and then. More over, the free version has a data limit of 500 MB only which can be less for some users. You can gain additional 1gb of data usage by inviting friends and other users to install the software. Once a user invited by you, downloads and installs the software on his /her machine, you will gain 100MB of data. In this way you can earn a maximum of 1Gb by inviting your friends to download and use the service. There is no speed restriction, and nor do you need to register before using the service which is a plus point. The premium account offers no data limit and zero ads making it a highly desirable package.